Divorce laws in California have undergone many changes and developments over the past few decades. It may be difficult to navigate a modern divorce procedure without assistance. Therefore, it is crucial that you take action to protect your rights throughout the divorce process and that your best interests are the top priority in your divorce. 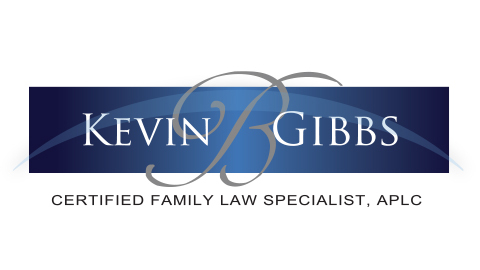 At Kevin B. Gibbs, APLC, I understand the anxiety and difficulties that many families face as they go through divorce.I am committed to providing the knowledgeable and dedicated counsel that is necessary for each case. You do not have to face the complicated legal process alone! Our Orange County Divorce Attorney is proud to provide seasoned and effective advocacy. Protect your family's future. Schedule a FREE consultation with our Orange County Divorce Attorney by calling (714) 987-9819. Every divorce is unique, and the experience is different for each person who goes through the process. Divorces are often complicated by a number of different issues that impact the people involved - such as their finances, whether or not they have children, and the division of any shared assets and properties. A small mistake can result in devastating consequences. A skilled Orange County divorce attorney can help you identify the matters that will affect your divorce and address them in a way that helps protect your interests and your future. Divorce mediation is an effective way of resolving conflicts and negotiating fair terms for spouses. With the help of a neutral mediator, spouses can communicate their needs and interests with each other and make negotiations without the need of court litigation. In addition, hiring an attorney is an optional choice. A skilled divorce mediator will have the legal knowledge and experience that couples need to reach positive solutions in their legal issues. Collaborative divorce is an alternative method of court-supervised divorce negotiation. Like mediation, spouses meet outside of court to negotiate the terms of their divorce agreement; however, these negotiations are still conducted with lawyers present. This allows couples to avoid the pressures and troubles of court litigation while still retaining legal counsel for the process. The spouses' attorneys present the divorce terms to a court once the negotiations are complete. As a board-certified divorce attorney with extensive experience in this complex and emotionally challenging field, I can help you navigate the maze of divorce while keeping your assets and relationships as intact as possible. I am knowledgeable not only in the state divorce laws statutes, but also in recent case law results that may be used to determine the outcome of your case. I am an also Orange County family attorney who can help you and your spouse settle your divorce out of court through a series of mediated sessions. I offer a free initial consultation to discuss your case and the options available to you, as well as to answer any questions and concerns you may have. I will try to set up your consultation within 48 hours of your call. Contact Kevin B. Gibbs, APLC today! Consult an experienced legal professional. Contact Kevin B. Gibbs, APLC today!